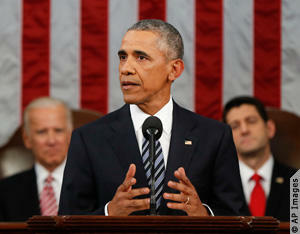 Jan. 15th, 2016 - President Obama gives his final State of the Union address. Rep. Jason Chaffetz proposes a bill that would cut allowances for former presidents. A recently-released video draws more questions about the 2015 shooting death of James Barker. And sexual assault in Utah costs the state nearly $5 billion annually, according to a new report. On Friday at 9 a.m., Tribune reporters Thomas Burr, Erin Alberty and Annie Knox as well as government and politics editor Dan Harrie join Jennifer Napier-Pearce to talk about the week’s top news stories. Tune in to KCPW or Utah Public Radio at 9 a.m. for the live broadcast. Join the discussion by calling 801-355-TALK, or by sending questions and comments to #TribTalk on Twitter.